I knew their music long before I discovered their name. I knew their name also....long before I discovered that I actually know their music so well. Years passed by and they are still one of my favourite 80's band. ''It didn't matter'', ''Long hot summer''...uf uf...amazing...''The lodgers'', ''Shout to the top''...fantastic...''Boy who cried wolf'', ''You're the best thing''...one better than the other. 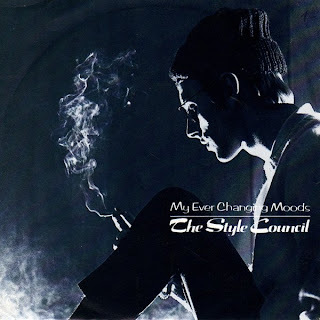 Sure among their best, one place must be for ''My ever changing moods''. For this crossover I used acoustic, 3:39 long version (original already exist on 12''). Crossovered...clocks at exactly 7:00...enjoy.